So we recently adopted two adorable kitties. They’ve settled in pretty well but while they were still getting used to our house I decided to make them this bed to hide in. I’d seen a shark shaped cat bed on Amazon but was dismayed that the reviews said it only fit small cats. 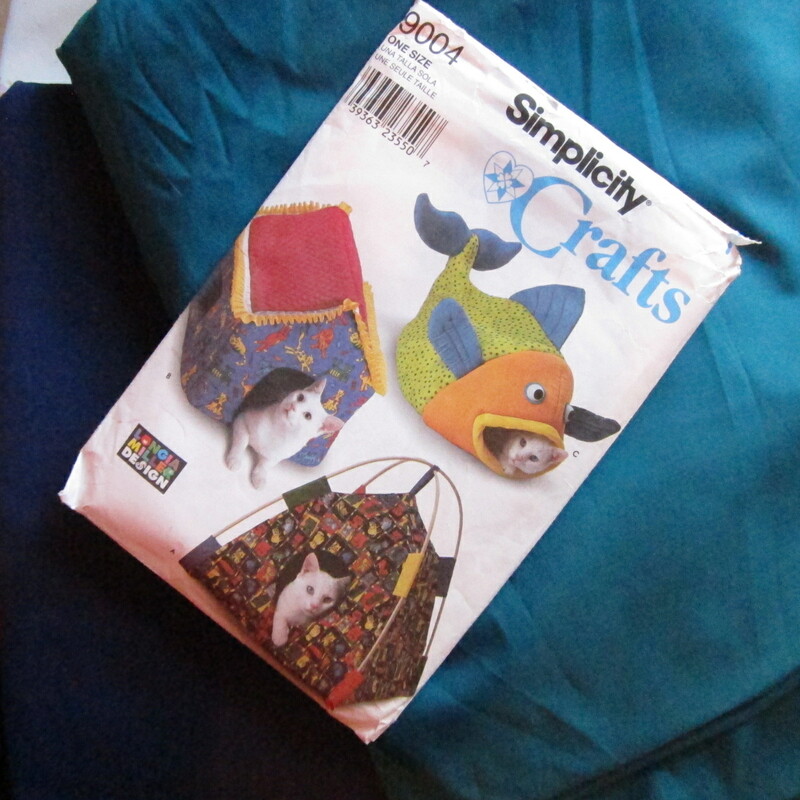 So, I found a pattern on Ebay that made a fish shaped cat bed. I was originally going to turn it into a shark but decided a whale would be better. I used this pattern, some blue twill and cotton, stiff interfacing, poly fill and large googly eyes to make this beast of a cat bed. Yes, you can buy 5 inch googly eyes. Isn’t it a wonderful world? 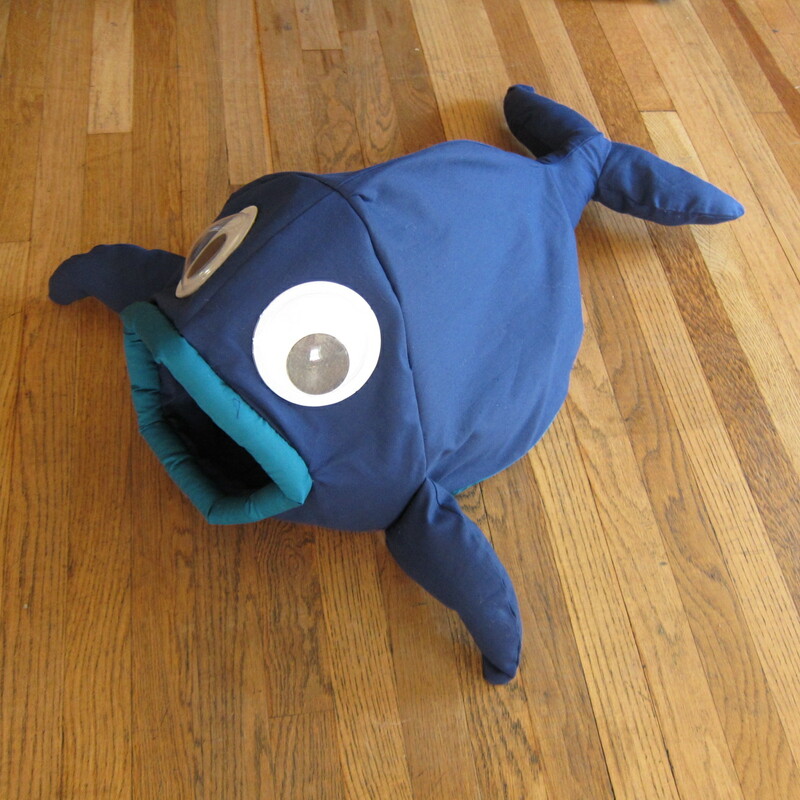 I deviated some from the pattern by omitting the top top fin, using googly eyes and using interfacing rather than foam. I broke about 10 needles trying to sew through all that interfacing and my cats have never once used their new whale shaped bed, but I’m still pleased with the outcome. I finished this project a few weeks ago and it seems my cats still prefer sleeping on the 50 cent carpet remnants I dragged home from a yard sale. 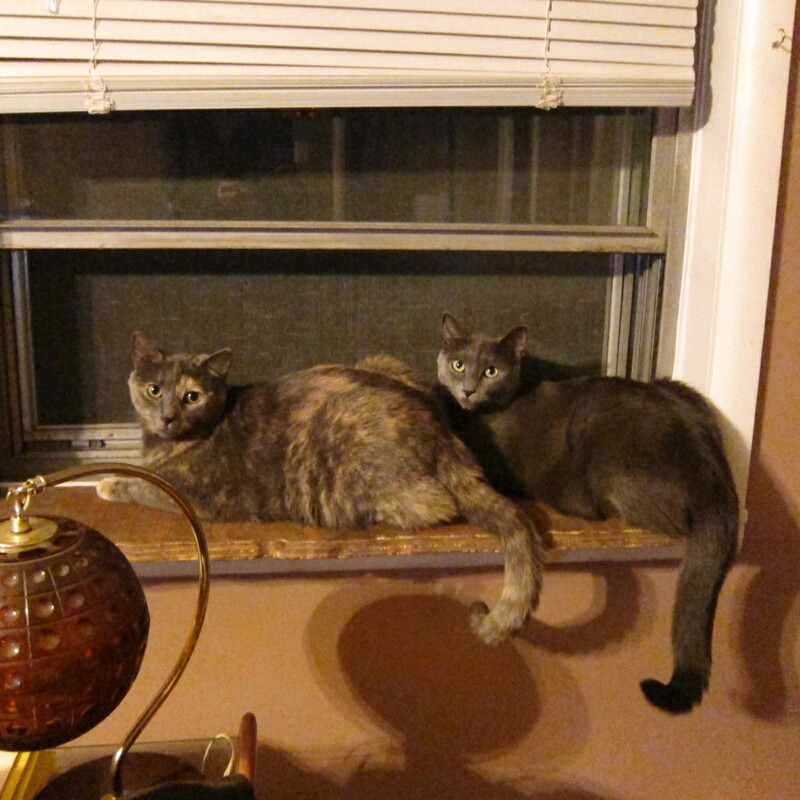 Alice and Hilda have no use for your fancy handmade cat bed! Winter seems to have saved all of its force for the very end! We now have a few inches of snow on the ground in March, which is something I can’t remember ever happening. Luckily I now how 2 new pairs of wool socks to keep me warm while I’m shoveling the last bits of winter from the sidewalk. I had planned to buy more of the no wool sock yarn but after a trip to the craft store I couldn’t find any colors I liked and came home with a different plan. I made these two pairs using the same pattern as the first but switched to Patons Kroy sock yarn. It’s a bit bulkier, mostly wool and comes in some beautiful colors. Unfortunately when I finished the second pair of socks today I had an unexpected sock mishap. As I was trying them on and walking around I got the heel of one caught on a screw on the threshold and snagged a hole in it. Now I’m faced with having to darn a pair of handmade socks I just spent a week making. So that should be exciting. Winter is a strange thing here in the middle of the country. Last year we were blessed with foot after foot of snow. I expected the same this year and decided to buy snow boots and take up knitting. Of course it seems I’ve cursed us as it’s now February and we have yet to receive more than a dusting. January seemed like the perfect time to find a new hobby. I’ve always loved sewing but there are so many things I’d like to make that don’t necessarily sew up well (hats, scarves, socks etc.) Knitting also appealed to me because it requires no expensive equipment and is relatively portable. Sewing is an involved task of rounding up supplies, firing up the sewing machine and monopolizing the better part of the living room. It’s great, but I wanted something relaxing I could do while I settled in to watch TV at night. I wanted a hobby as therapeutic as knitting was reported to be. I went on a road trip a few weeks ago and with a few skeins of yarn, knitting needles and book from the library, taught myself to knit. So far I’ve made a pair of leg warmers (which look great but don’t fit so well) and a set of coasters. I can knit rows all day but I need to learn to gauge or everything I make will end up having elastic put in. I have my sights set on making socks. 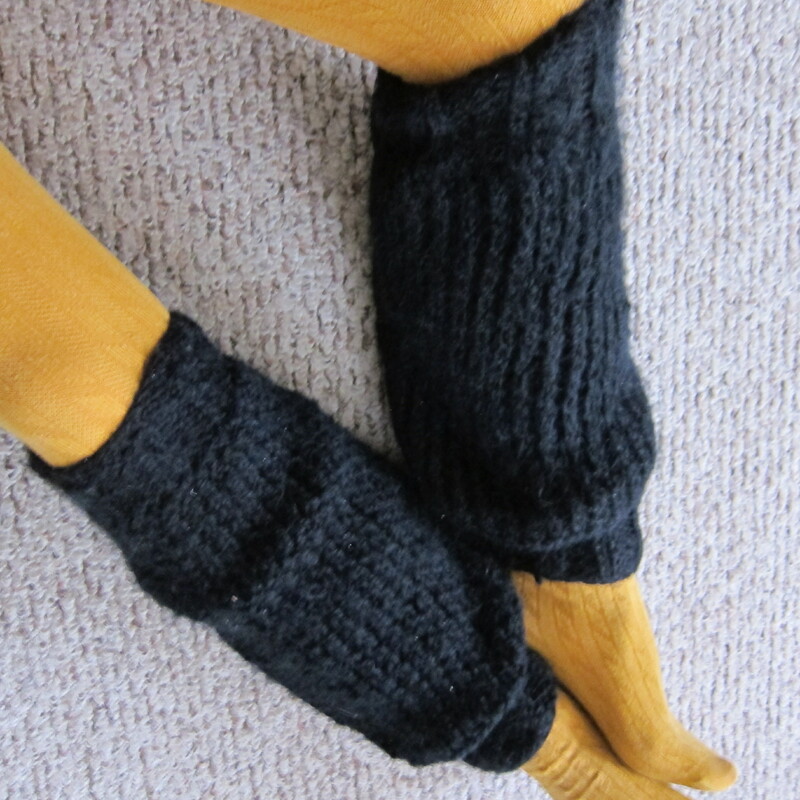 I just think hand knitted socks would be the most luxurious thing ever. Luckily for me the local library got a grant recently to buy craft books. I stopped by there and it was like a heaven for craft books. I looked through the shelf of knitting books and came home with 3 entirely devoted to sock knitting. 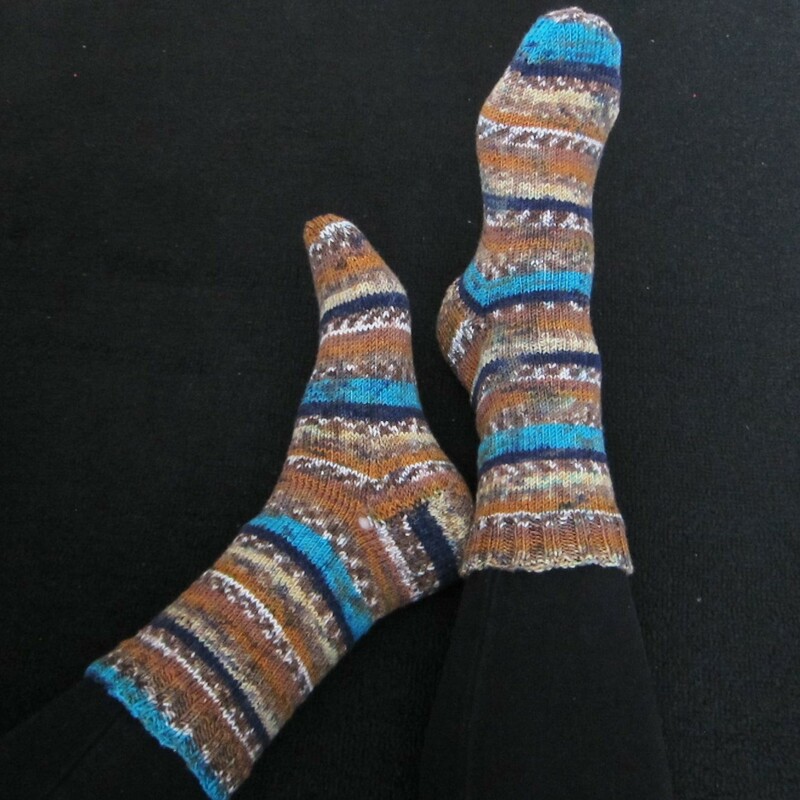 It’s been a steep learning curve but I have no doubt I’ll eventually knit a pair of hideously constructed socks (and then subsequently less hideous pairs as I get the technique down). My mom is an avid crocheter and gave me a few skeins of yarn and some knitting needles to start. As someone who buys craft supplies in bulk at estate auctions and thrift stores, she always ends up with an odd pair of knitting needles. I’ve been lucky so far to not have spent any money to start this hobby. If you’re looking to get into knitting and want to start for cheap, go to the library and get a few books and watch a few Youtube videos. You can find yarn at a lot of thrift stores, and may even run across a pair of knitting needles. Ask your friends who craft if they have a pair they’d be willing to lend or trade. Salvaging yarn from old afghans is a great way to get a good amount for very cheap, but it’s likely to be acrylic, rather than wool or cotton which would cost much more.